StreetPass works very similar to Tag Mode in that you need to activate it first. The biggest difference though is that once you activate it, you’re good to go. You do not need to have the game open or even in the 3DS. You can be playing a completely different game because as long as StreetPass is activated in that game, it will work. If you’re still new to the 3DS, and heck, even if you have had a 3DS since launch day like me, I highly recommend always keeping the StreetPass Mii Plaza set through StreetPass. Besides having StreetPass right in the name due to it essentially being an introduction of how StreetPass works, it offers two cool minigames and a chance to see who you met through StreetPass. It also has some achievements attached too and a map to fill out, in case you wanted some extra incentives. The way StreetPass works is when you pass someone else with their 3DS on, you have a chance to exchange data upon any games/applications you both share as long as their StreetPass feature is activated. While the range is quite big (about 30 meters/98 Feet), that doesn’t guarantee you a StreetPass. So, you have your applications set, right? Your 3DS is on and ready to go? Well, let’s hope that’s enough because sadly, it isn’t always. 1. Their 3DS is off. – As silly as it may sound, a lot of people are uncomfortable leaving their electronics on. Despite the fact that the 3DS says when it’s shutting down that you should keep it on and just in sleep mode, many people do not do this. 2. They are playing a DS game or DSi eShop title/application. – Unfortunately, StreetPass only works on stuff made for the 3DS. So, if you are playing one of the DS Pokemon games, you will sadly not be able to get any StreetPass’ while it’s up. A good way to test if you can get StreetPass with a certain game or application is to press the home button after booting it up. If you get a black screen that says going to the Home Menu will close it, then that game will cause you to not receive any StreetPass tags while playing. 3. Their 3DS’ battery died. 4. They are full. – Every game/application has a different amount of people it can hold in the “Waiting Queue”. For example, StreetPass Mii Plaza holds only up to 10 in the Waiting Area while Pokemon Rumble Blast can hold up to 30. 5. They do not have any of the same things activated. – Part of why it’s nice to have the StreetPass Mii Plaza activated is because everyone has it and then even if the two of you do not share a game, you still have a chance to StreetPass someone. If you only have games activated, there is a chance that person may not have any of those and thus, no StreetPass tags. —Similarly, if you do not have anything activated at all for StreetPass…you’re not going to be able to StreetPass anyone, are you? —Also, not all games have their StreetPass feature ready to be activated immediately. Some games have it so you need to get to a certain point in them before you can activate it. —Finally, their Wireless trigger (the yellow light on the right side of the 3DS) may not be on. 6. There just may not be anyone around who has a 3DS. – Despite the 3DS getting more popular, a lot of people still find it quite expensive. There are deals from time to time though, so be sure to keep an eye out. Despite buying my 3DS at launch for the original $250 price tag, the StreetPass feature actually made it really worth it to me and I haven’t had any regrets. Even if you may not be able to afford a game right away, I think looking into buying a 3DS can still be worth it–especially with all the games promised so far this year. 7. Interference. – Just like any Wireless signal, other electronics and radio towers can throw it off. What can I do to get StreetPass tags? 1. Make sure you’re aware of the reasons why you may not. If you tend to keep your 3DS off or only play DS games on it, you will not be getting a StreetPass tag anytime soon. 2. Try and pass by schools or parks where there are more likely to be people who have a 3DS. 3. Look into Meetup.com and The StreetPass Network where there may be people meeting up to StreetPass near you. Even if you’re a bit shy or uncomfortable around strangers, just passing by could get you some StreetPass tags. 4. Conventions or Video game-related events (Like ones at the Nintendo Store if you live near New York City or GameStop midnight releases) are great sources of StreetPass tags as well. Even if you can’t go yourself, staying outside some or passing by may surprise you with some tags too. 5. Try going to game stores or Electronic Sections in various stores as they sometimes have the actual system and not just a demo. You can try exiting out of a game and clearing out the StreetPass if you’d like to get a hit. Besides being a neat feature in general, it often offers neat gameplay opportunities too. Not all games have StreetPass, mind you, and not all games have great StreetPass features either, but I will highlight some below. One thing to be aware of is while some offer exclusive content that is only available through StreetPass, others are just ways to get things quicker or another option. 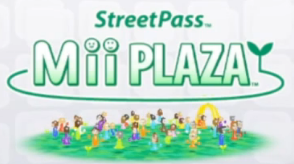 StreetPass Mii Plaza – The StreetPass feature the plaza has is filling up your plaza with every people you StreetPass. Then, any from the most recent queue may be used once each for Find Mii (1 + 2) and Puzzle Swap. Find Mii is kind of like an old-school turn-based RPG. A Mii can attack a boss using their sword or magic (Magic based on a Mii’s shirt color) and it’s more or less straightforward with a few puzzles. Completing rooms in Find Mii allows you to unlock hats for your Mii in the StreetPass Mii Plaza. Be aware that they will only show up within StreetPass Mii Plaza and when other people StreetPass you. Regardless, it’s still a cute feature. Completing puzzles will allow you to examine the finished puzzle in 3D while it does a pretty cool animation. As previously mentioned, there is also an achievements system along with a World Map that will add new locations as you StreetPass people frm different parts of the world. Super Mario 3D Land – Probably one of the strongest examples of a StreetPass feature that isn’t always that great. Super Mario 3D Land can only hold up to 3 people at once and all it does is cause Toad’s Houses and Cube levels to refresh, essentially. Mario Kart 7 – Passing someone allows you to race a ghost of them in Time Trial mode along with their own “cup” consisting of their favorite courses. StreetPassing enough people will also unlock special kart parts (though, you can also earn them through large amounts of coins). Dead or Alive: Dimensions – You will be able to fight others’ most used character at whatever rank they have earned from battling other people they have StreetPassed. The rank is useless otherwise, but you earn figures whether you win or lose which makes it another way to gain them. Animal Crossing: New Leaf – The Happy Home Showcase owned by Digby gathers up people’s houses that you have StreetPassed. It holds up to 48 houses (16 per area) along with the various characters who own them. The more you StreetPass someone, the more items you will get from the person (as any item they are holding will be given to you if you talk to them). Essentially, besides the exclusive items, you also get to see people’s player cards, their house (which will update if you pass again), and even have the opportunity to order some items from these houses. Nintendogs plus Cats – Nintendogs allows you to receive a photo and/or present (depending on if the player you pass has them set) along with being able to go to a park with one of their pets. From then on, you can also occasionally run into the people you StreetPassed while going on a walk (indicated by a white stripe along their shirt) and if you stop to talk to them, there is a high chance they will give you a gift–including the possibility for items from other versions of the game. Fire Emblem: Awakening – Causes a person’s StreetPass team appear on the map for you to interact with. You can either buy items from them (any items they may be holding), recruit the player by buying them, or fight the player to have the option to recruit them for free and earn some renown. LEGO Star Wars III: The Clone Wars – You get studs (the game’s currency) and may unlock characters a bit earlier. Pokemon Mystery Dungeon: Gates to Infinity – Allows you to earn items for StreetPassing lots of people along with the chance to save other teams if you have Revival Seeds in the Postbox. Style Savvy: Trendsetters – Let’s you exchange Profile Cards and have the player’s character appear at your store to sell things to. It offers a good way to earn money and if you pass them again, you have a chance to see the outfit they made for you. Super Street Fighter IV – 3D Eedition – Let’s you battle other players with figurines and earn money upon winning to buy more figurines. Imagine: Fashion Designer – Allows you to get someone’s custom design. Pokemon Rumble Blast – You get money for every person you pass and after certain milestones, unlock Legendary Pokemon as well. Theatrhythm: Final Fantasy – Allows you to swap profile cards and earn more Dark Notes. These are just a handful of different StreetPass features for games and I’m sure you can tell that some are a bit more handy than others. This is actually a good thing in some cases as you can only have up to 12 games’ StreetPass feature activated at once. No. People often mix up SpotPass and StreetPass, but they are actually quite different. The short version is StreetPass works using wireless signals while SpotPass uses a WiFi Connection, thus requiring the internet to work (while StreetPass just requires your 3DS to be on). SpotPass is often used by developers to send out free DLC or special content such as new costumes (like in Dead or Alive: Dimensions) or new puzzles and special Miis (For the StreetPass Mii Plaza). Though, it is also used in some applications like how Swap Note works (and is also how you get special stationary and official messages). Also, SpotPass is indicated by a blue light while StreetPass is indicated by a green light. Hopefully more games will continue to do StreetPass features in the future.